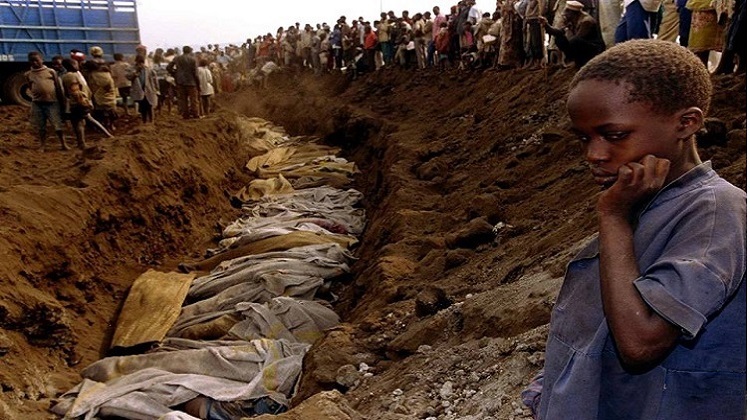 Twenty-five years have passed since the genocide that killed an estimated 800,000 Tutsis and moderate Hutus, one of the largest genocides since the Second World War. On April 7, Rwandans commemorate the genocide that left hundreds of thousands of people dead, with ceremonies themed “Never Again.” Genocide prevention will also be highlighted. The United Nations holds an annual memoriam. Since Rwanda, mass killings have occurred in Bosnia, Sudan, and Myanmar . I was with my children when they died,” said Lydia Uwamwezi, recalling the 100 days of genocide that began 25 years ago this Sunday in Rwanda.There is a lake between Kigina and Nyarubuye. That is where the mob took us. They were tired of using machetes, so they threw my children into the lake. Uwamwezi, now 46, was spared. In despair, she threw her baby carrier into the lake after her drowned children. The Hutu attackers retrieved it and later raped her repeatedly, telling her she must bear them Hutu children to replace the Tutsi ones they had just murdered.If you have a grudge at heart, you can never live well with your neighbors,” she said.